When you think of wax paper, you might use it for cooking or heating up some food in the microwave. Did you know that there are many other uses for it both in the kitchen and around the house? Keep reading to understand why you will want to keep wax paper in stock. How often do you use your wax paper? Not enough! Here are 9 super awesome ways to use wax paper that don't include baking. 1. Clean a can opener. If the gears of your can opener are starting to look funky, follow the advice of Care2.com and run wax paper directly through the gears. The material should loosen any stuck crumbs. 2. Maintain kitchen wood. Line your prettiest wooden bowls with wax paper after washing and drying to keep them looking good as new. Care2.com says wax paper is also useful for keeping wooden cutting boards clean and safe from dangerous bacteria. 3. Shine chrome finishings. Your faucet is one of the most difficult parts of the kitchen to keep clean. Keep this and other chrome finishings finger print-free with a simple wax paper wipe down, says Good Housekeeping. 4. DIY pot lid. You're half-way through the perfect stew when you realize you don't have a lid for your pot. Don't despair! Good Housekeeping recommends cutting wax paper in a circle custom-sized to fit your pot. Poke a single hole in the center to allow steam to escape. 5. Clean floors. 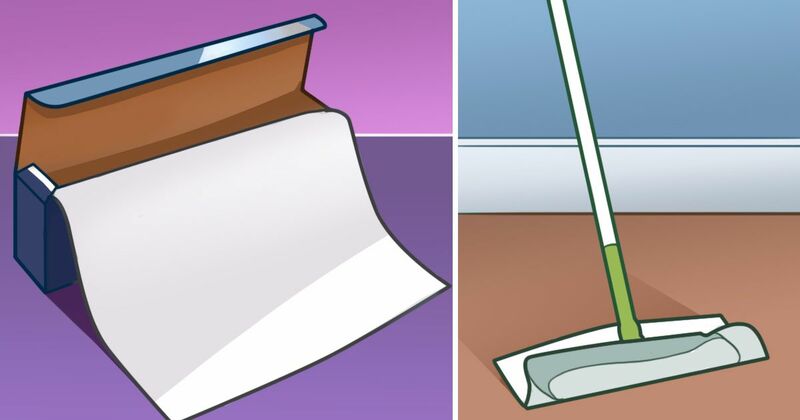 Real Simple suggests attaching wax paper to your sweeper and sweeping as normal. You'll likely be surprised to see just how well dirt sticks to the wax paper. 6. Unstick a zipper. A jammed zipper can ruin a perfectly good outfit. Care2.com says you need not fret. Simply rub the teeth of the zipper with the wax paper until it breaks free. 7. Prevent light damage. Don't let your most treasured fabrics fade with time and light. Care2.com suggests wrapping such delicate textiles as a wedding dress in wax paper. 8. Protect your car antennae. Rub wax paper over your car's antennae to protect it from dirt, dust, and bugs. Good Housekeeping says this should improve radio reception. 9. Better ironing. Good Housekeeping suggests rubbing wax paper along your ironing board to make it smoother and to help the iron glide more easily. What's your favorite way to use wax paper? Tell us when you SHARE this article on social media!